Introducing the High Times Home Test, a patented, state of the art product brought to you by one of the most well-known pioneers in the cannabis industry. 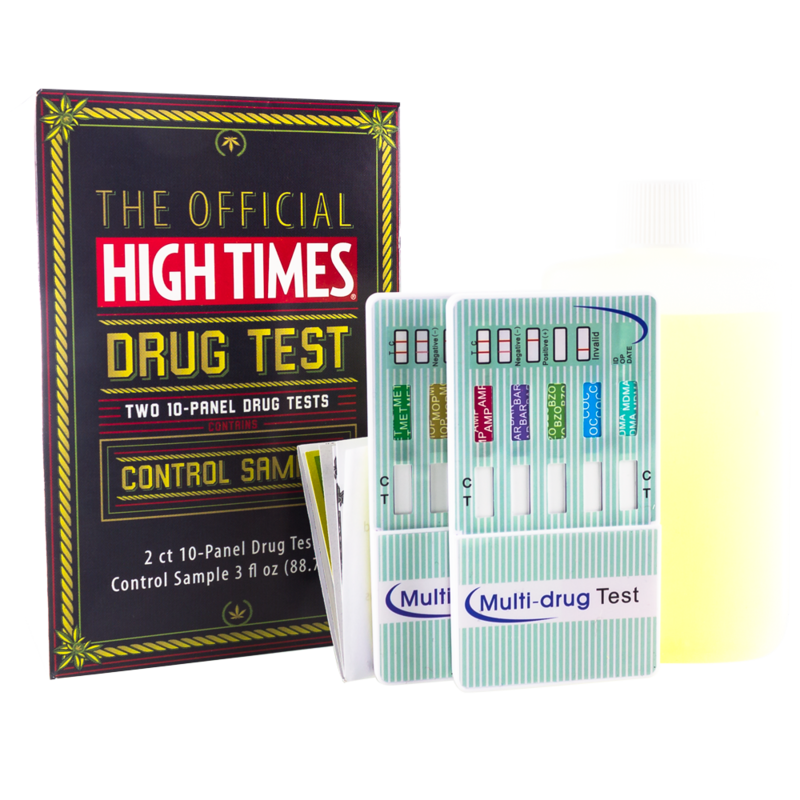 This top quality test kit comes with two ‘High Times’ 10 Panel drug tests, capable of identifying an extensive amount of substances including marijuana, amphetamines, barbiturates, cocaine, ecstasy, phencyclidine, methamphetamine, oxycodone, morphine and benzodiazepine. Included with the test kit is a purely synthetic sample of urine meant to be used as a testing sample to guarantee accurate results. It comes in a quantity of 3 ounces and is guaranteed to always test negative for toxins due to its 100% synthesized, laboratory-grade makeup.